Meet the 2016 Winners of Teens Dream! | Teens Dream Co Lab is a collaborative of teens and adults who encourage teens globally to be change agents in their communities, and the world! Meet the 2016 Winners of Teens Dream! Congrats are in order for each of our nine winners including our Grand Prize winner Elena who made a video on their dream – for them personally, their community, or the world, as it relates to one of the UN Sustainable Development Goals (SDGs)! We are working now to identify Mentors! Honorable Mention Winners will be announced shortly! 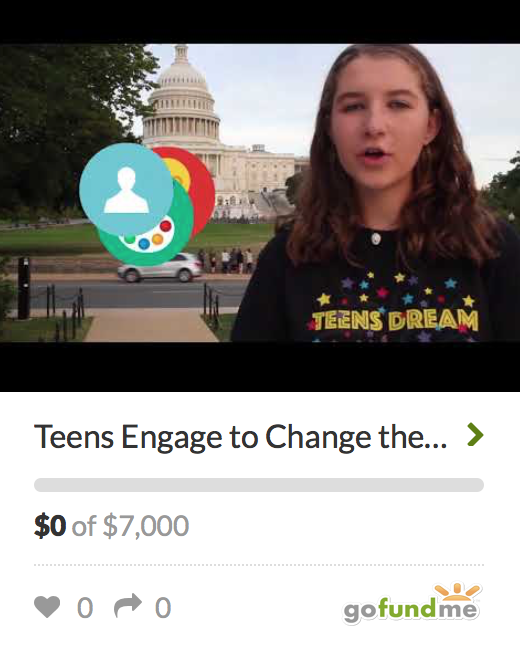 Thank you to all our 2016 fabulous submitters – see their submissions in the Gallery of the Teens Dream website — we are working to build a global family of teen engagers on the SDGs through our virtual Dream Hubs! Our dream is to encourage people to pick up one piece of trash a day, which would have a massive impact on our environment. This video raises awareness about how the environment is affected by people littering, especially in coastal areas. My dream is to create peace and justice between police forces and citizens. I want my dream to come true because there are so many stories about how black people are being treated wrongly by police. My dream is to help break the shackles of the political, social, and economic inequalities designed to censor creativity and block potential by entertaining (creating music and dancing to it). I hope to give young people everywhere the inspiration, motivation, and support to nationalize and globalize their culture and voice. My dream is to improve education, beginning with my community. There are many ways education fails students of varying learning-types, but I think the solutions are out there. My dream is to get New Zealand’s rivers back up to the standard they were twenty years ago. Our rivers are filled with high levels of Nitrates and E. Coli, and over 90% of our low lying rivers are classified as polluted so few of our rivers are now swimmable with most completely dried up. My dream is to use my technical skills to bridge the gender gap, so that girls are not under-represented in the programming field. I started mentoring young girls when I was in my middle school and I feel that by doing that, I have the potential to make a difference. Elena Beer – London, UK GRAND PRIZE WINNER!! My dream is to save the environment by means of responsible consumption and production. The steps are little for the average person yet with everyone taking them, the staircase leads us to a much healthier world! Our dream is that one day, there will be zero food waste. This dream is connected to the twelfth sustainable development goal, responsible consumption and production, as responsible consumption means zero food waste. My dream is that inequality in the world and the focus on our differences will be reduced to such a level that peace, nonviolence and justice will come more naturally to us as world citizens.